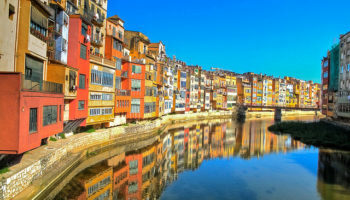 Barcelona is one of the world’s most popular tourist destinations, attracting millions upon millions of visitors each year. So why is it so popular? Well, it has almost everything any holidaymaker would desire. Easy access, favorable weather conditions, attractive beaches and surrounding mountains, a buzzing nightlife, tasty local cuisine and it’s steeped in culture and history. The quiet beauty of the Monastery of Pedralbes provides a safe harbor for travelers who want to escape the hustle and bustle of Barcelona. This gothic monastery was built in 129y by Queen Elsenda who sought forgiveness for her sins. It is considered an outstanding example of Catalan gothic architecture. Arched outer corridors overlook swaying palm trees. Its original occupants were Poor Clares, nuns from mostly noble families; they were charged with protecting the city. Some nuns still live in the monastery, which today houses the city museum. Barcelona is filled with significant buildings designed by noted architect Antoni Gaudi. A good place for visitors to begin their appreciation of his work is Palau Guell or Palace Guell. It’s one of his first major works, and sets the tone for his designs to follow. Gaudi designed Palau Guell for an extremely wealthy resident. Because the tycoon entertained a lot, the house was designed around a central hall, with other rooms designed to fit the family’s needs. Gaudi’s use of space and lighting in the Palau Guell was innovative for its time. Built in 1929, Poble Espanyol is a huge open-air museum four times the size of FC Barcelona’s football pitch. The complex is composed of various sections, each of whom represent a specific Spanish region. There is also a flourishing handicraft market which is perfect for souvenir shopping. 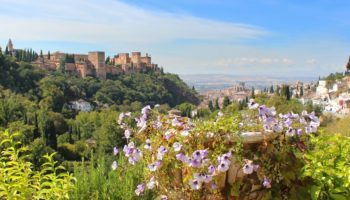 Here you can wander from Andalusia to the Balearic Islands in the space of a couple of hours, visiting surprisingly good copies of Spain’s characteristic structures. The village also hosts the Fondation Fran Daurel, where you can enjoy an interesting collection by artists like Picasso and Miró. Joan Miro was one of Barcelona’s most famous artists, a master who created works known around the world. Usually foundations are set up after a person dies to honor their ideas, but Miro created his own legacy by setting up the Fundacio Joan Miro himself. It was designed to be a place where younger artists could explore contemporary art, with Miro’s own works providing the nucleus for this study. The foundation opened in a modern building in 1975 and is a good place to see a great collection of Miro’s work in one place. Sitting atop a hill, the Museu Nacional d’Art de Catalunya looks more like a massive castle than an art museum, a museum that holds a king’s ransom in treasures. It is here, however, that visitors will find the greatest Catalan art from the 10th century to the 20th century. 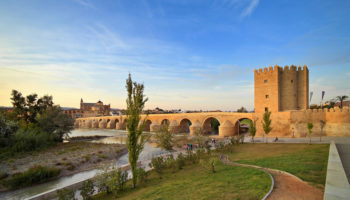 Here visitors will find impressive Romanesque murals that graced church apses, and Gothic art from the era when Catalonia was expanding across the Mediterranean. The gallery also contains paintings by the great Spanish artists El Greco and Velasquez. The Arc de Triomf was constructed in 1888 to welcome international visitors to Barcelona’s Universal Exhibition, the world’s fair of its day. The massive decorative arch is located on the Passeig Lluís Companys, a promenade. The classical style arch, now a famous Barcelona landmark, is noted for its sculptural decorations that are symbolic of Barcelona at that time. One frieze welcomes visitors to the exhibition, while reliefs extol agriculture, industry and commerce. The top of the arch features shields from Spain’s 49 provinces; they are topped by Barcelona’s coat of arms. Travelers who are fond of art nouveau will definitely want to put Sant Pau Recinte Modernista on their Barcelona bucket. The former hospital, with a façade that resembles a church, is the top-ranked art nouveau site in Europe. Sant Pau Recinte Modernista was built in the first third of the 20th century as a hospital and healthcare research center. It served this purpose for 100 years, and today houses a variety of international organizations. The complex, with underground tunnels connecting the building has a pavilion that is devoted to the history of medicine in Barcelona. Every city has a big square where people congregate to celebrate, mourn or just see each other. NYC has Times Square, Beijing has Tiananmen Square and Barcelona has Placa de Catalunya. The city’s nerve center is a place to meet friends, sit on the grass or take a break from shopping at nearby stores. Integral to the square are six sets of sculptures that represent the four capitals of Catalonia, labor and wisdom. The plaza opened in 1927 on land that once fronted the gates to a walled Barcelona. People don’t go to the Palau de la Musica Catalana just to hear music, they go to see the concert hall’s over-the-top ornate interior. While the exterior is impressive, it just can’t compare to the main concert hall with its glass-top ceiling. Built in the early 1900s, the Palau de la Musica Catalana is a tourist attraction in itself, with its stained glass windows and massive chandeliers. The inside of the old hall has been compared to the interior of a Faberge egg. A smaller hall is more modern and subdued, but still opulent. Travelers who collect panoramic views should go to the top of Tibidabo, at 512 meters (1,880 feet) high the highest mountain overlooking Barcelona. The easiest way to get there is via Spain’s first funicular. But there’s more than just stunning views on this mountain top. There’s the Sagra Cor church that took 60 years to build and is topped with a sculpture of the Sacred Heart of Jesus. Sharing space with this impressive church are an amusement park and a telecommunications tower. All three are visible from Barcelona below. The Parc de la Ciutadella is a lot happier place today than when it was founded in 1714. After Philip V conquered Barcelona, he ordered a citadel – the largest in Europe – to be built by forced labor so he could maintain control over the Catalans. Over the centuries it transformed into peaceful uses, becoming a major oasis of green in the city. Citadel Park was the site for the 1888 Universal Exhibition. Today it is home to a zoo, a small lake, the Museum of Natural Science, and Als Voluntaris Catalans, a sculpture honoring Catalans killed in World War I. Add Cathedral of the Holy Cross and Saint Eulalia, as it’s officially known, to the list of beautiful Gothic buildings in Barcelona. The church also known as Barcelona Cathedral or La Seu because it’s the seat of the archbishop. The cathedral dates back to the 14th century and honors St. Eulalia, co-patron saint of Barcelona, who was killed by Romans by putting her in a knife-studded barrel and rolling her down the street. The entire church is ornate, with towers and spires reaching into the sky. It is a major tourist attraction and now boasts a gift shop that caters to visitors. With over 4,000 works by the painter, the Museu Picasso houses one of the most extensive collections of artworks by the 20th-century Spanish artist Pablo Picasso. In particular, the Museu Picasso reveals Picasso’s relationship with the city of Barcelona, a relationship that was shaped in his youth and adolescence, and continued until his death. The museum is housed in five adjoining medieval palaces in Barcelona’s La Ribera. Foodies may think they’ve died and gone to heaven when they visit La Boqueria Market, a colorful market (and tourist attraction) in the old town. Located just off La Rambla, the market dates back to 1297 when meat was sold at the city gates. More than meat is sold there today. There’s an array of foods, from farm-fresh produce, seafood, spices and candies being sold by more than 200 stalls. Buy the fixings’ for a picnic lunch or eat at one of the many restaurants before continuing sightseeing. The beautiful Santa Maria del Mar (Saint Mary of the Sea) is an icon for Catalan Catholics. Construction of this massive church began in 1329 when Aragon King Alfonso IV laid the foundation cornerstone. 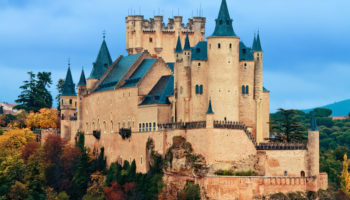 It was finished in 1384, a prime example of Catalan Gothic architecture. Though the outside seems severe, the inside more than compensates for this. Beautiful stained glass windows, high narrow columns and simplicity of design invoke feelings of spaciousness and serenity. Over the centuries, the cathedral has been damaged by earthquakes and fire, yet always regains its beauty. One for the sports fans, yet still one of Barcelona’s most popular attractions. This stadium is home to formidable European football champions F.C. Barcelona. With a capacity of 99,000 people, this breathtaking sporting arena is Europe’s largest. A tour of the ground is definitely worthwhile and you never know, you might be lucky enough to catch a game! Montjuïc is a broad shallow hill with a relatively flat top to the southwest of the city center. The eastern side of the hill is almost a sheer cliff, giving it a commanding view over the city’s harbor immediately below. The top of the hill was the site of several fortifications, the latest of which remains today. Another interesting sight is the Palau Nacional (National Palace), originally built as the central pavilion for the International Exhibition. The majestic building in neo-Baroque style is home to the Museu Nacional d’Art de Catalunya (MNAC). Montjuïc is also home to a number of sports facilities built for the 1992 Olympics. Built between the years 1906 and 1910, Casa Milà (La Pedrera) was the last civil work designed by Catalan architect Antoni Gaudi. The colorful building is considered one of the artist’s most eccentric and enticing architectural creations with not one straight edge on the exterior. Tours of the interior and the incredible roof structures are available. It also hosts a large exposition of Gaudi works, covering Sagrada Familia and Casa Batlio, not only La Pedrera itself. Old is good, especially when it’s the Gothic Quarter, located in the oldest part of Old Town Barcelona. Some say the quarter dates back 2,000 years, but what travelers will see today isn’t that old: a maze of narrow streets flanked by buildings from medieval times to the 19th century. 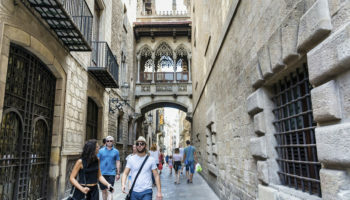 Travelers will see the Jewish Quarter, considered the Gothic Quarter’s prettiest section; walk the paths where a young Picasso went to school; eat at Can Culleretes, the oldest restaurant in Barcelona, dating to 1796, and shop at the colorful Boqueria market. 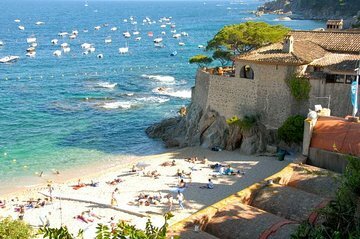 Out of Barcelona’s seven different beaches, stretching over 4.5 km (2.8 miles) of coastline, Barceloneta probably tops them all. It is one of the most popular and is closest to the city center. 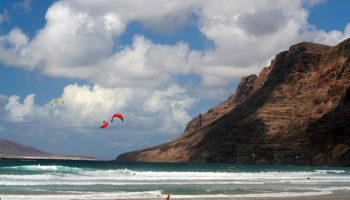 Along the 1,100 meter (3,600 feet) sandy beach runs a walkway popular with joggers and cyclist. Not surprisingly this place can get crowded, especially during the summer months when the beach bars open up and the beach quickly fills up with locals and tourist. Font Màgica is a fountain located below the Palau Nacional on the Montjuïc hill and near the Plaça d’Espanya and Poble Espanyol de Barcelona. The fountain, like most of the surrounding developments, was constructed for the 1929 Barcelona International Exposition. On selected evenings, when the fountain is activated, it attracts hundreds of visitors who watch the spectacular display of light, water and music. At the same time, the Palau National is illuminated, providing a beautiful background. It’s hard to find the words to describe Casa Batllo, perhaps because it looks like a carnival gone insane. One of architect Antoni Gaudi’s most famous buildings, Casa Batllo is a mish-mash of colors, building materials and what-have-you styles. There’s a large onion-like dome that’s reminiscent of a mosque; a colorful wavy tiled roof line and lots of sculptures. Gaudi turned an nineteenth century building into Casa Batllo, sometimes called the “house of bones” because of the many jaws on one sculpture. It was a home without equal, but not one most people would feel comfortable living in. 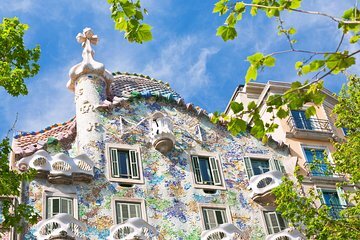 With other major works in the city including La Casa Batlló and La Pedrera, this has to be one of Antoni Gaudí’s most celebrated and it is certainly one of the most emblematic of Barcelona. The area was originally meant to be a residential property development with Gaudi doing much of the planning and landscape design. Only two houses were built and the land was later sold to the city of Barcelona and turned into a park. It is home to the famous Salamander sculpture, as well as other buildings and structures designed by the architect. With stunning views of the city, this is a magical experience. This is probably the city’s most famous street and is a bustling hive of activity. 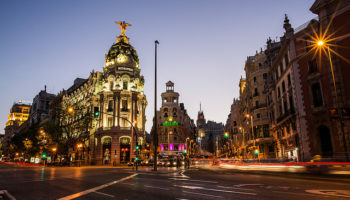 It is often called Las Ramblas, because it is actually a series of several different streets that all have a distinct feel. 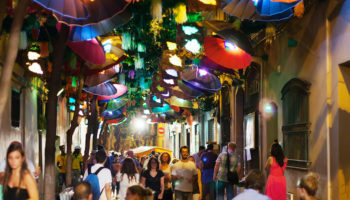 Located just off Plaza Catalunya and leading right down towards the port and beach, visitors will find street performers, lots of bars and restaurants and the fabulous Boquería Market, a true feast for the eyes. La Sagrada Familia is the most popular attractions in Barcelona, attracting nearly 2.8 million visitors each year. Construction began in 1882 and continues through today, making it the largest unfinished Catholic church in the world. Antoni Gaudi took over as architect the following year and worked on it until his death in 1926. It’s just over 70 percent finished now. Current architects are following Gaudi’s design, which is based on Gothic and Byzantine styles, with 18 towers of varying heights, each dedicated to a different biblical figure. 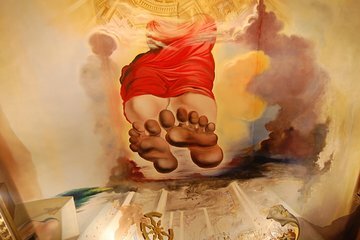 Visitors will be captivated by the design elements and the religious symbolism built into all the spaces of the church. The church was consecrated in 2010, allowing services to be held onsite. Which attractions in Barcelona do you consider to be the most interesting? My favourite is of course La Sagrada Familia. The sheer marvel of architecture. I love Spain and Barcelona is one of my favorite places to visit. This page gives great information thank you. My favorite place in Barcelona is Paseo de Gracia street. It is amazing street with Gaudi’s buildings and luxury shops!!!!! Casa Batllo and Pedrera are an amazing buildings. I love Gaudi’s architecture. I think that every body that comes to visit Barcelona have to go there. Also the location of these two buildings is perfect, in the middle of Paseo de Gracia, one of the best streets. Casa Mila and Casa Batllo, in my opinion are the best. I love the architecture of Gaudi. His style is awesome. Also the place where are located are perfect. You must have to visit if you are there. Our holiday in Barcelona dedicated an entire day to the city center. Morning visit the Boqueria market and the Ramblas where we also ate. Then we were all afternoon store Paseo de Gracia and took advantage and had dinner there. We left the shop at the hotel and visited the quarry. I recommend going at night to this monument. It is amazing and well worth going. I never knew there were so many beautiful attractions in Barcelona. Montjuic – the evening light and sound at the fountain, Sagrada Familia – architecture, La Rambla Street etc. – just marvelous. A visit to Montsarat is a must. The Crypt designed by Goudi and built with recycled material is a marvel indeed.